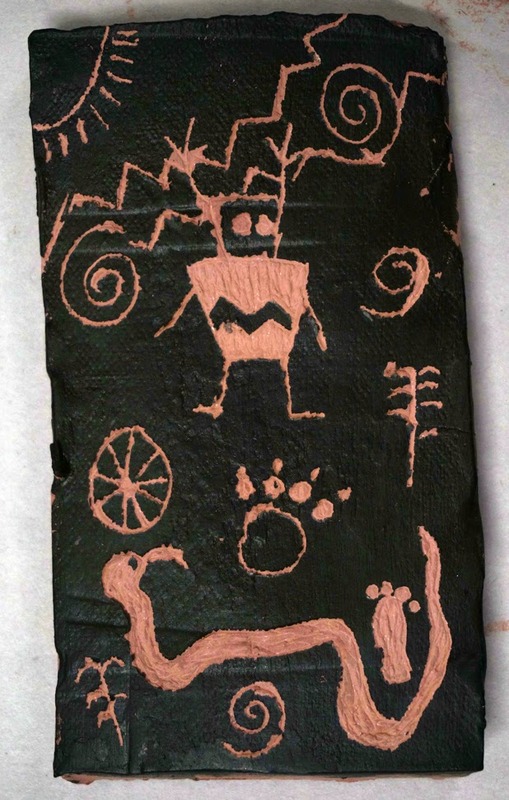 Our 5th graders created some intricate petroglyphs after learning about some of the most ancient of arts - rock art. We toured the famous Lascaux Cave and its famous, 20,000-year-old paintings and then fast forwarded to a thousand years ago and the rock art of the Ancestral Puebloan (Anasazi) rock art of the American Four Corners region (where Mr. O. has done a lot of poking around in the canyons searching for rock and ruins!). 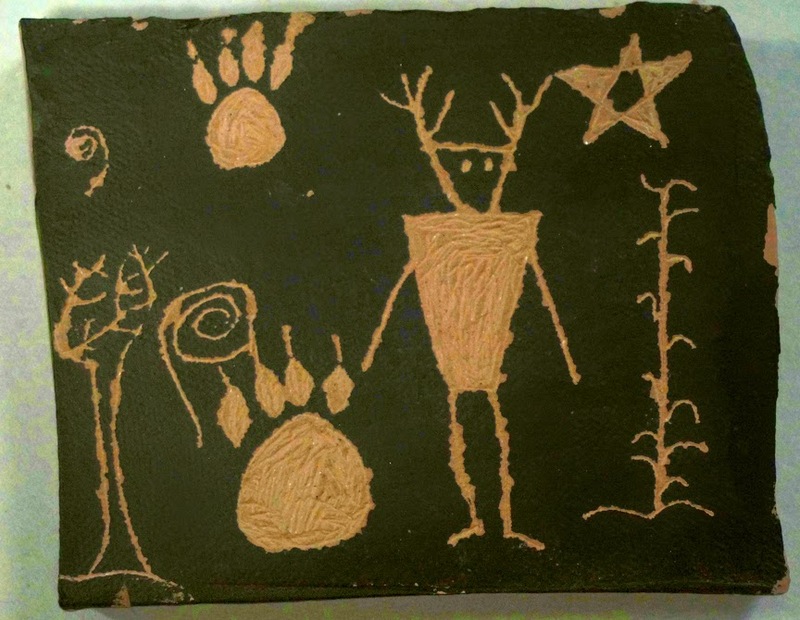 These petroglyphs were made by rolling out and cutting slabs of clay, then firing them for just a couple of hours on our kiln's lowest temperature setting. This hardens the clay enough to make it a little more durable but not so much that the carving is next to impossible (I've learned from experience!). 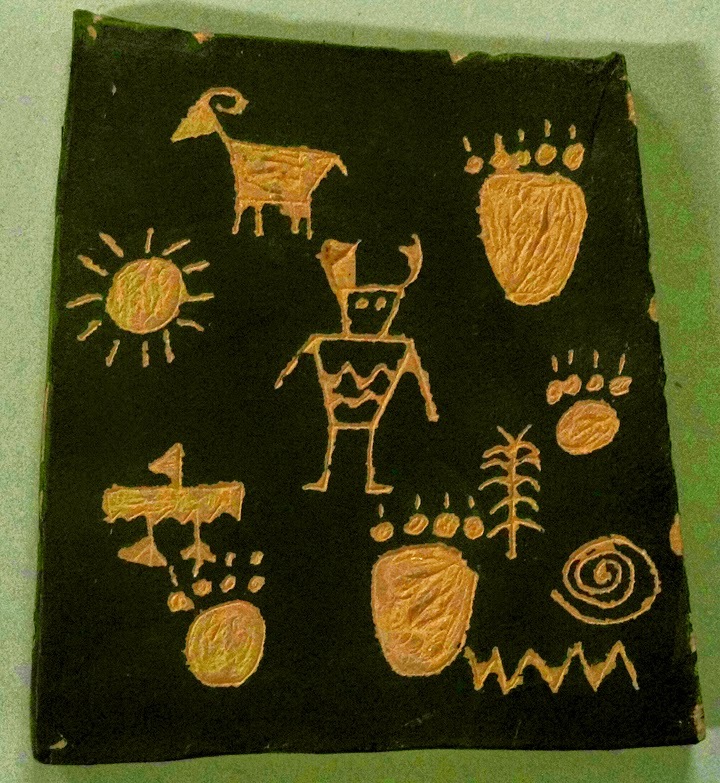 After painting the smoothest surface of their clay with black acrylic paint (tempura peels off) and allowing it to dry between classes, the 5th graders used push pins to scratch in their symbols. 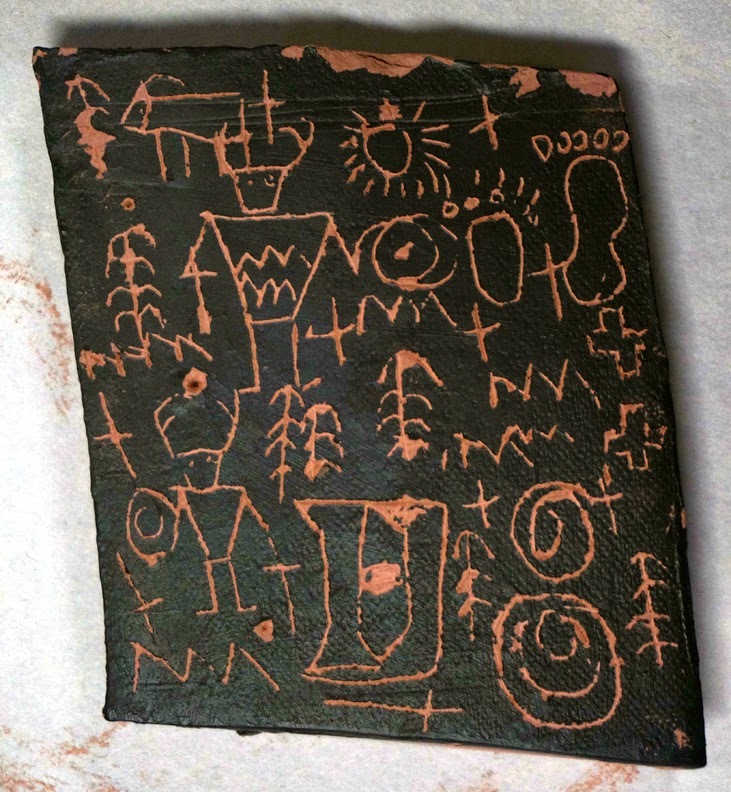 Words weren't allowed, though students had the choice of using more modern symbols if desired. 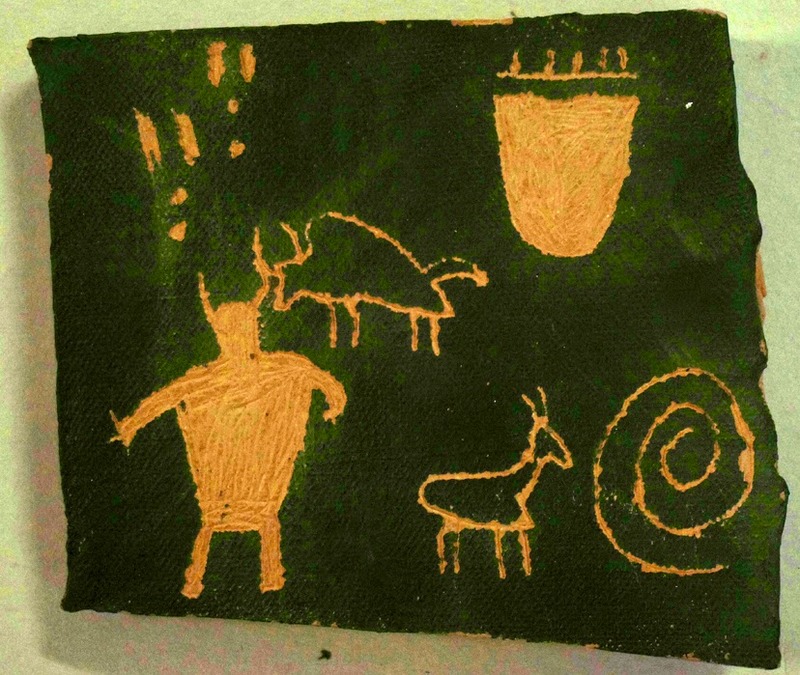 Most chose to make their petroglyphs appear more like the real thing and stuck with traditional Native American rock art symbols, though the occasional Duke or UNC logo made an appearance!